Hello! 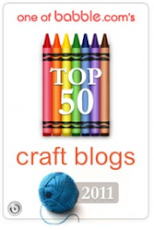 I'd like to say thank you to the gracious Ashley for asking me to guest host on her blog today. My name is Patty Schaffer and I am the owner of P.S. it's in the details, an etsy store featuring creative paper items designed and handmade by me. I also have a blog, Capture the Details, where I like to share my newest designs, scrapbook layouts, craft ideas and pictures and stories about my family. I have a feature on my blog on the first and third Mondays of each month called 'Make it Monday'. 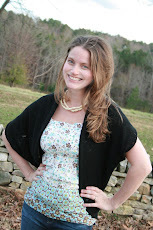 I share a crafty idea with you and provide pictures and instructions so you can follow along and make one of your own. 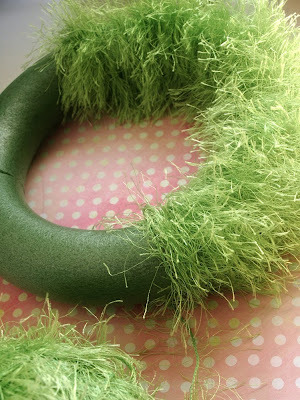 I knew I wanted to do a spring wreath and when I saw yarn at the craft store that struck me as very baby grass-like, it was a proverbial *light bulb* moment and the baby grass wreath idea was grown! Let's get started! (I bought all the supplies at Joann Fabric & Crafts). 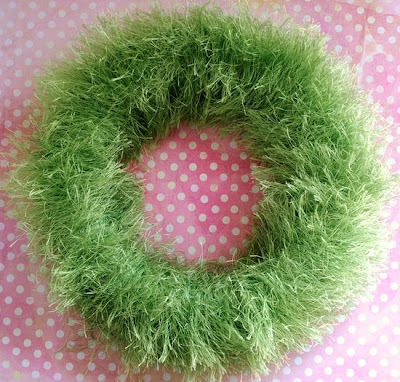 ....You will need a foam wreath form (I used an 8" green foam wreath), yarn (I used one skein of Lion Brand Yarn Fun Fur in Lime Green, article #320-194), a daisy trim (I used Wright's Trim, but you could use any you like- such as this or this), and long pearlized pink pins (1½"). ....Yea!!!! 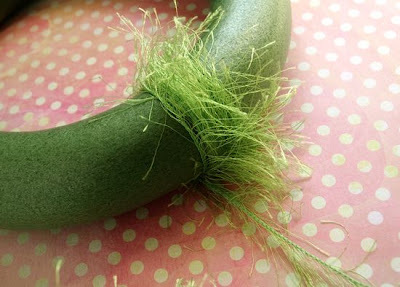 We have a baby grass wreath! So cute! It would look beautiful just sitting on a table as is. Be sure to visit Patty's blog for more great ideas and inspiration and her etsy shop for fabulous handmade goodies! Cute! You may it look so easy! Perfect for spring. Wow! This is adorable :) Thanks Patty! I can't even believe how cute this is - it's so spring! Thank you for sharing! 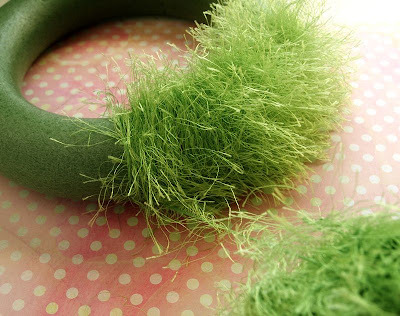 Oh I like the fury grass yarn! Nice. Oh what a great idea. 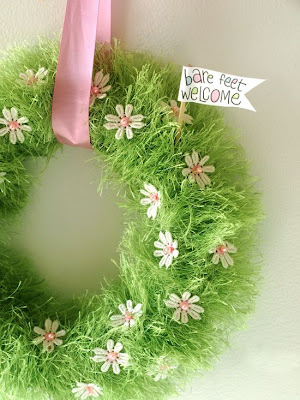 I just bought my first wreath form. Never thought it would be soo cheap. I'll make my own now. And I'll follow your blog. Man this is the cutest idea!! Damit i have a spare wreath. I would have loved to have made this for my mum for Easter sunday!! I will see if i can get sommit like this and il make it tomorrow. That just reminds me so much about spring. I love it!!! It looks super fun and easy. I found this project on pinterest yesterday. It took me less than an hour to make (the most time consuming part was wrapping the yarn) and only cost me about $15. 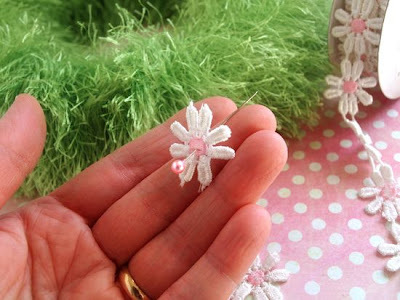 Instead of daisy trim, I used silk flowers that were pink and white. The project turned out beautifully- in fact, I'm making a second one soon as a gift to my grandmother. Thanks for the tutorial! Can't wait to get started. SO CUTE ! Can't wait to make.. SO CUTE !! 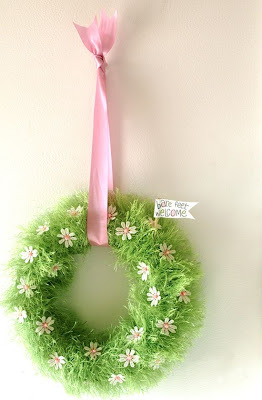 thanks for a wonderful spring craft that is easy enough for me! Can't wait to get to JoAnn's! Do I just need one skein of yarn for the whole 8 inch wreath? 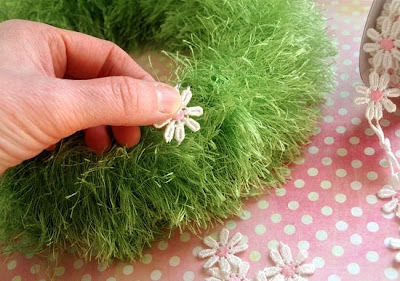 Where did you find the daisy trim? 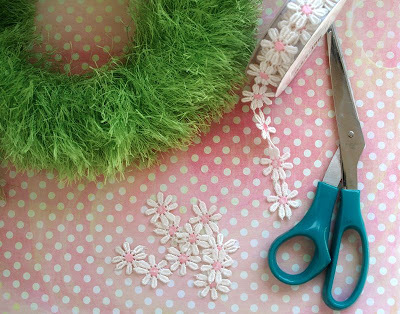 I found the daisy trim @ AC Moore. I also got the pink ribbon @ AC Moore. 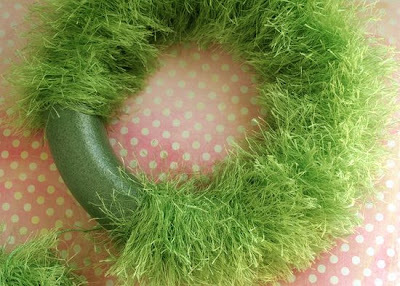 I got the green foam wreath, pins & fun fur at Joann Fabric. My total came to about $25! This is absolutely adorable! Found it on Pinterest, but had to keep searching to find this direct link. Well worth it since this is such a great craft! Thanks so much for sharing! I saw this on Pinterest - made it today. So Cute!!! 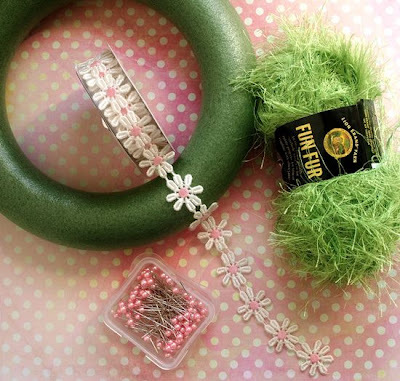 Oh my goodness what a great idea to use up some of that old eyelash yarn in my stash! Since the decorations are just pinned on, it would seem this could easily be changed to work right up through fall. 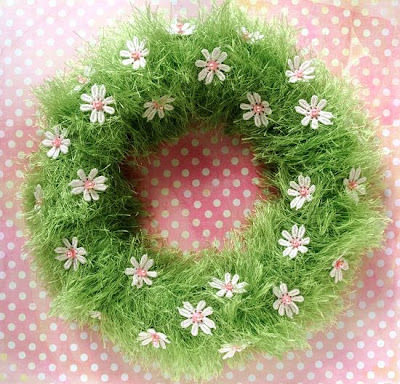 In my country, Chile, spring is coming, and the Baby Spring Grass Wreath, is Perfect for wait it!! That is so precious and sweet!!! Thank you for sharing!!!! Adorable! Just finished making. I used a 10 inch wreath and it required 2 skeins of yarn. I had so many tangles with the first skein. Took me 2 hours to untangle at one point. The second skein didn't have a single tangle in it, and it felt a bit thicker. Can't tell on the wreath that there are two though, so it's all good. I wish my bare feet sign was as cute as yours. I recently made this at a Pinterest party and it turned out great! Thanks for the post. I am a new blogger and posted about the outcome along with linking back here, would love it if you checked it out! Thanks.